Bamboo is becoming an increasingly popular material for everything from fabric to flooring, and it's especially popular for furniture. 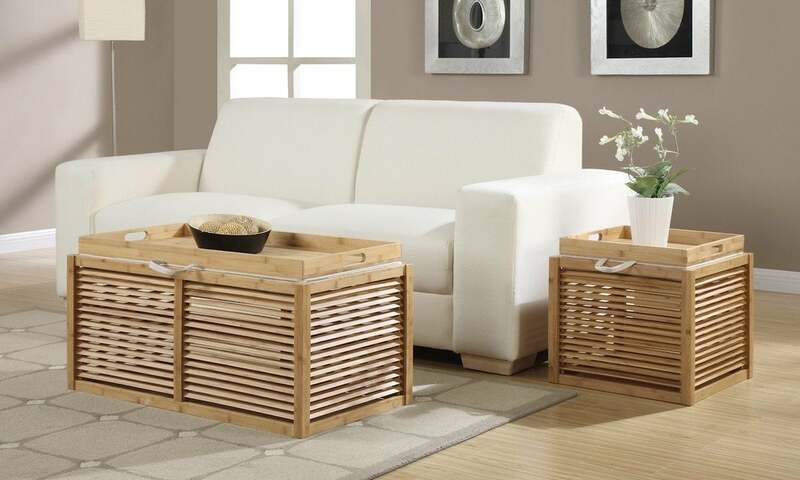 Touted as being strong and inexpensive, bamboo furniture is also an eco-friendly choice. Bamboo is one of the most renewable resources on the planet. In fact, it can grow up to 36 inches in just one day! Here is information on how to buy, care for, and incorporate bamboo furniture into your home. In addition to its fast growth, bamboo is found on nearly every continent and can grow in many diverse climates. When cut, bamboo will send up new shoots to replace those lost, and it’s ready to harvest in about five years, unlike many hardwoods which take 50 or more years to grow to cutting size. In addition, bamboo doesn’t need fertilizers, pesticides, or herbicides to thrive. Bamboo has been used to make furniture for centuries, even longer than most hardwoods. Common types of bamboo furniture include table and chair sets, beds, cabinets, and dressers. Bamboo furniture is extremely durable and will last in your home for years. Here are a few things to look for when you’re shopping for high-quality, eco-friendly bamboo furniture. Search for pieces made with real bamboo rather than cheaper bamboo look-alikes. Look for furniture that states it is made with sustainable bamboo (bamboo grown and harvested naturally that remains sustainable). If the furniture includes bamboo veneers, check to see that the glue used is nontoxic. Choose bamboo furniture with more eco-friendly water-based stains. Look where the furniture was made: Many artisans from small villages make bamboo furniture, and their communities have been making it for generations. Wash the furniture with a solution of water and mild detergent regularly, at least every few months. Eco-friendly cleaning solutions are available that work well on bamboo. Both outdoor and indoor furniture should be washed with an anti-mildew additive once every six months — more if you live in a humid climate. Clean up spills immediately to prevent stains. Bamboo furniture has become very popular in recent years, and the variety of styles available is ever expanding. If you’re starting to incorporate it into your existing decor, choose a few small pieces, like an end table or nightstand, to start with. The natural look works well in casual rooms, and it can also have a East Asian look that works well in eclectic rooms.